This four-day tour takes in spectacular Alnwick Castle, a film location for Harry Potter films, visits to Warkworth and Bamburgh castles and the historic Holy Island with its iconic Lindisfarne Castle and Priory. Start from Newcastle, visit the magnificent medieval castle ruins at Warkworth Castle including the nearby Hermitage, a religious building carved out of rock. Enjoy lunch in Amble with time to explore the village and lobster hatchery. Weather permitting, take a boat trip out to Coquet Island, an RSPB reserve - famous for puffins and Roseate terns. Alternatively explore the beautiful gardens and arboretum at Howick Hall and indulge in a traditional English tea at the Earl Grey tearooms. Visit Alnwick Castle, the second largest inhabited castle in England and film location for some of the Harry Potter films. Go on to nearby Alnwick Gardens with lunch up in the treetops in their unusual Treehouse restaurant. Explore the town of Alnwick in the afternoon or drive out to Craster, famous for its kippers, a local delicacy and walk along the coast to the dramatic ruins of Dunstanburgh Castle. 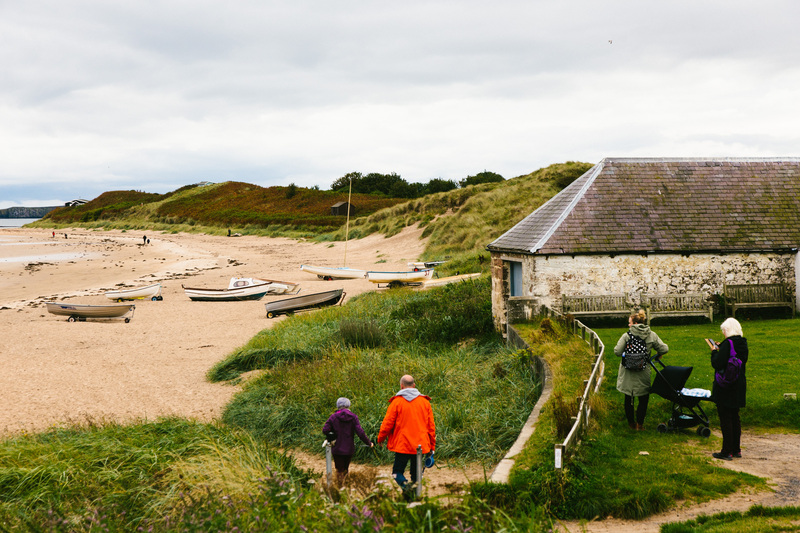 Drive north to the harbour town of Seahouses and take a boat trip out to the Farne Islands for one of the UK’s top wildlife experiences. Here you can view up to 23 different bird species, as well as a huge colony of grey seals. After lunch, stop off at Bamburgh Castle, the royal seat of the kings of Northumbria offering dramatic views over the surrounding countryside. Don’t miss the Grace Darling Museum before spending the night in Bamburgh. Visit Holy Island, a historic and picturesque location regularly reached by a causeway only accessible at certain states of the tide. See Lindisfarne Castle and Lindisfarne Priory, the epicentre of Christianity in Anglo Saxon times. Spend some time exploring the Elizabethan walls and museums of Berwick upon Tweed before returning to Newcastle. Explore Northumberland, plan your bespoke itinerary now!